Think treadmill workouts are too boring to endure? Intervals are the antidote! Playing around with speed, timing, and rest periods keeps both the mind and body busy. 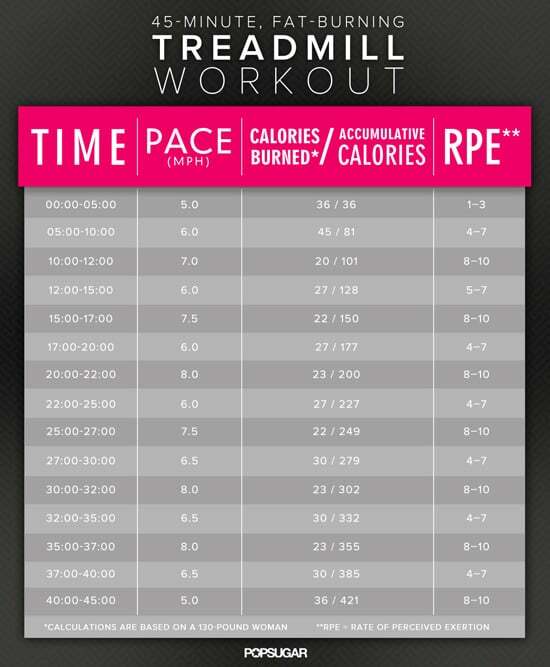 Interval training is also one of the best ways to beat belly bulge, so torch some serious calories with this 45-minute treadmill workout. Set the incline to one percent to prevent shin splints. As with all our workouts, feel free to increase or decrease speed depending on your level of fitness. But doing so will alter the amount of calories you burn.